Enjoy any of my offered treatments in the comfort and privacy of your home or office. I bring everything necessary for your chosen service, including the massage table, linens, table warmer, oils, stones, yoga mats, soothing spa music. You provide the space. Enjoy the relaxing atmosphere and soothing music you'll find in my private treatment room. 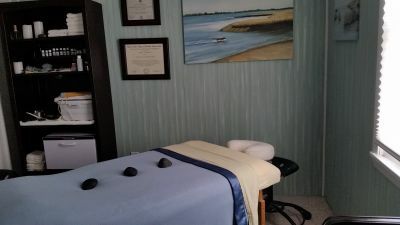 Choose a Relaxing Spa style massage, Deep Tissue massage, Asian massage, Cupping, Reiki, Sports massage or Stretch Therapy, Hot stone, or a combination of any depending on your needs.